Lovely card Shelly. Happy birthday to your daughter! Fabulous card!! Great take on the color challenge!! Simply sweet Shelly - what a great idea to use the notes in those colours! Thanks for playing along at CAS-ual Fridays again! CAS fabulousness Shelly! I have just re-found kraft and am loving it! I was just looking at a couple of these note dies I have in my collection and ta dahhhh...here it is, getting some TLC from you! 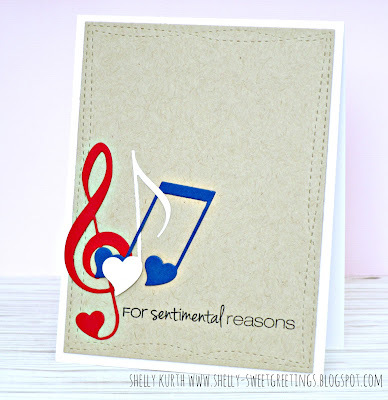 Fabulous note arrangement, especially on the kraft!